As a bullet journaler and a stationary addict, it was important to me to design and print these notebooks with extremely faint dots, grids or lines. I feel heavy guides take away the beauty of what you are about to create inside the notebook. Which ever you choose, the lines, dots or squares will be there as a faint and supportive guide. Each of these notebooks are meticulously hand crafted!! There are various options to choose from with regards to size, print design and corner cutting! NB. Please note that these notebooks are fountain pen friendly and hold ink really well. BUT Tombows and sharpies will ghost like it does on most papers!! Gifts will be wrapped in tissue paper with a map of the world, tied with twine. I hand write a note card an pop it in a lovely envelope. 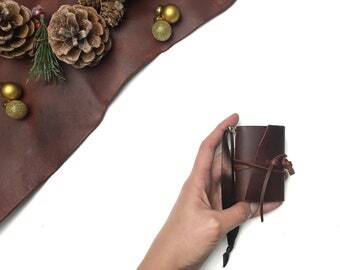 Quality item, beautifully packaged, swiftly sent, lovely personal service. Lovely little notebooks, good quality paper. Pleased to be supporting independent businesses. Nice quality, couldn't have been quicker! 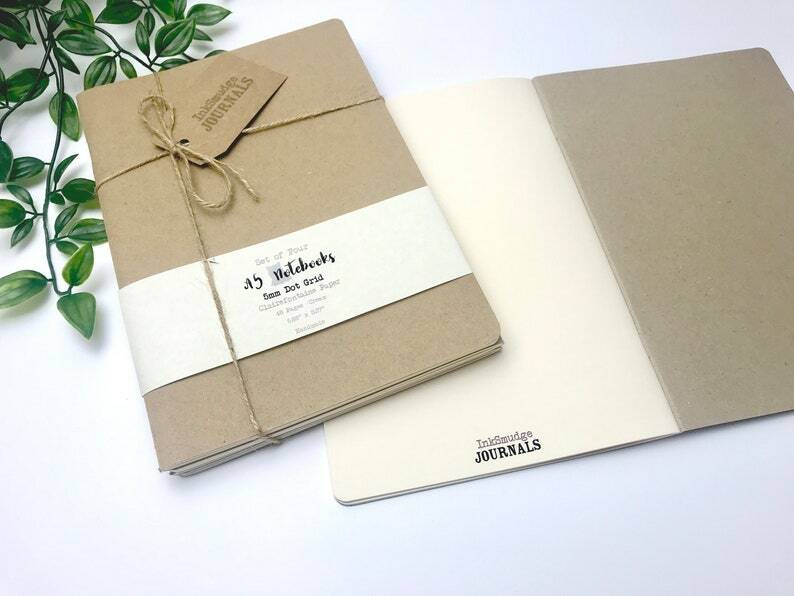 Gorgeous little notebooks that can be personalised for any occasion, as they are a blank canvas. The markings inside are very subtle. If you are excited by stationery (who isn’t?!) then you will appreciate them. Very neatly made. I got the mixed, rounded batch. 4 fit perfectly, with room for extras, in one of the inksmudge journals if needed.